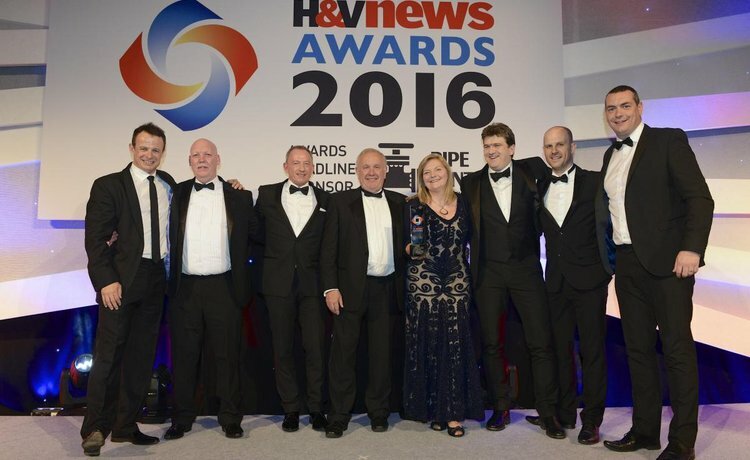 Vital Energi & Vital Efficienci are celebrating after their work in partnership with York Teaching Hospital NHS Foundation Trust took the prize for Retrofit Project of the Year at the Heating & Ventilation News Awards. The project saw Vital Energi design and retrofit an existing energy centre, including a 1.2MW Combined Heat and Power Engine, while Vital Efficienci implement a range of energy conservation measures such as upgraded Building Management System and replacement of 5,400 lights. Vital Energi have also provided an Energy Performance contract on the project, which guarantees that the Trust save in excess of £12 million in energy costs and over 45,000 tonnes of CO2 reduction over the course of the 15 year contract. Vital Energi also won the District Heating Project of the Year category for their work in partnership with Camden Council on the Somers Town Decentralised Energy Network. The project has seen Vital Energi design and install a district heating network and energy centre which will serve 339 houses across four estates in the first phase and by phase 2 the network will save over 1,000 tonnes of CO2 per annum.